Need a dress for a summer garden party? This Layered Cut Out Dress was made for dancing. Made with 100% silk, it is a pastel coral hand marble dyed dress with a raw finish, it has a gathered tulle waistline and cut outs on the sides of the waist, lined with soft hand marbled tulle. 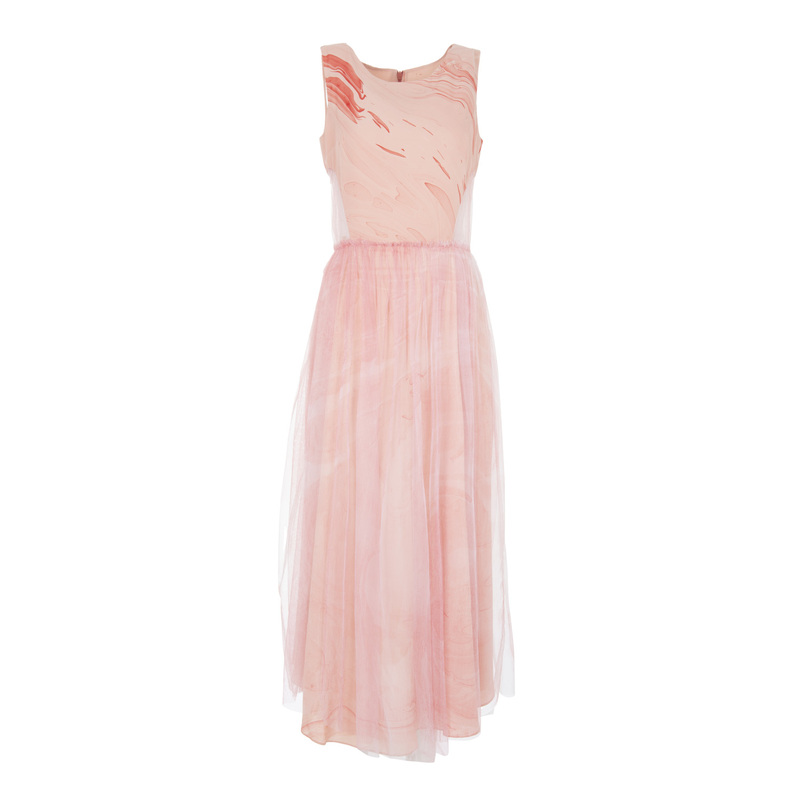 The skirt is then layered with hand marbled pastel coral tulle. This piece is made to order just for you, so please allow at least 14 days for delivery. The unique technique that Edward uses - marbling, to create the patterns on his garments. He hand marbles each piece of fabric for his collections himself, so each garment he makes has a personal touch. Founded by 2016 by Edward Mongzar, his designs are certainly one of a kind. Using marbling, he creates pieces that translate his artistic vision into beautiful, ethereal, flowing designs. The way the water and dye act independently, but coming together to create something beautiful on the fabric, it is a sight to behold.